What does an ADA Self-Evaluation have to do with parsley and cilantro? Have you ever taken a bite expecting parsley, only to be surprised by cilantro? Truth be told, may ADA elf-evaluations and transition plans are made up of surprisingly wrong ingredients. In this session, we will discuss the essential ingredients for these ADA compliance documents, practical approaches to gather data, common errors, and critical information that should be known in the organization and available to the public. In addition, we will discuss why EVERY organization should have a dynamic working action plan. Finally, we will discuss how ADA/504 coordinators can be supported by the development of an accessibility management team. 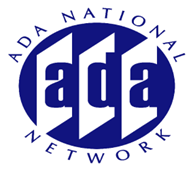 This session is designed to give practical guidance on ADA self-evaluations and transition plans, whether you are trying to put together compliance documents for the first time, wondering if your current documents cover all the bases, or thinking it might be time to revisit those 25-year-old binders that are now collecting dust on the shelf.